Two major findings emerged from the study. First, the research, which included structured interviews with service desk leaders around the world in addition to the 75,000 customer interactions, found that delighting customers does not build loyalty. However, decreasing the effort they have to expend to resolve an issue does correlate to loyalty. Second, when an organization acts upon that fact, it can decrease customer churn, costs of the service operation and improve the quality of customer service. 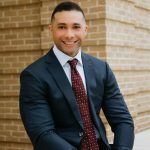 Industry-leading customer experience experts, like Justin Robbins, Founder, JM Robbins & Associates, also agree. “From what I’ve seen of organizations, the ones who are successful aren’t focused on how their customer experience will help them beat the competition. They focus on how it will best meet the needs, and resolves the current problems, that their customers have. It’s shifting the focus from ‘what can be done to be the best’ to ‘what do we need to do to best serve those who trust us with their business,’” Robbins noted. What Is the Customer Ease of Service (CES) Definition? The CES metric is a number that measures loyalty and reflects the aggregate choices of customers who respond to a survey. Early users of CES surveyed customers with a 5-point scale. For example, if the company was asking about the amount of effort each customer had to expend to solve a problem, a scale like this could be used. As CES became popular, many organizations began using a 7-point scale. Unlike CSAT surveys that are given periodically, CES needs to be gathered immediately after a customer touch-point. For instance, the customer should receive a CES survey at the close of an interaction with a service desk agent. Then, as scores are returned by each customer, management needs to proactively seek out reasons for every less-than-excellent response. By asking customers to take a survey that many require only one click, then by following up with displeased customers, CES becomes a fast, simple and effective way to measure and increase customer loyalty. What is the Customer Ease of Service (CES) Calculation? How much effort did you personally have to put forth to resolve your issue? (Company Name) made it easy for me to resolve my issue. The simplest way to calculate the CES is using the average of all responses. Some organizations use a formula similar to that used for the Net Promoter Score(NPS). 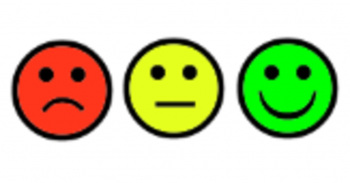 Those companies that use a 3-point scale can use either the average of all responses, or may choose to subtract unfavorable from favorable, ignoring the neutral center cell (yellow smiley-face). Because various companies each use different scales it’s not meaningful to compare CES scores across companies. The “ultimate question” is what gives meaning to CES, not the choice of scale to quantify it. Companies with low CES metrics suffer because they don’t have a solid base of loyal customers. A loyal customer refers friends and associates, which cuts the cost of customer acquisition. Loyal customers spend more and buy more frequently, which helps cash flow. These and other benefits of customer loyalty diminish as the metric falls in the “high effort,” “not easy,” or “Strongly Disagree” CES ranges. Once you have established a method for collecting customers’ perceptions of your company, product or service, you should have CES displayed in real-time as well as track it for trend analysis. Additionally, you should track CES along with other measures of customer perceptions—metrics like CSAT and NPS. Service support managers need a real-time understanding of support center performance and their associated personnel and activities. Additionally, reports on service support performance need to be generated on a routine basis, standardized across multiple support centers and be made available between multiple levels of management. Therefore, utilizing performance analytics you can proactively monitor the effectiveness and efficiency of your service support centers and make confident business decisions based on real-time data and trending. By connecting to multiple technologies and centrally monitoring all your support centers and staff with a single prescriptive dashboard, you can make proactive decisions to minimize risk and maximize your budget. The customer experience will continually improve by monitoring your resources and the impact they’re making. Ultimately at the end of the day it’s what you do with the data that matters most. “Observation and data are crucial to crafting an experience that will delight your customers and help your organization become a “can’t live without them” company. Processes and data that anticipate needs, and modifies the customer’s experience of your company based on those needs, is the key to phenomenal CX,” shared Pat Perdue, Founder of Socialicity Media, YCASTR and host of Pat Perdue’s Customer Experience Podcast. This article was originally published on the RDT Metrics blog and reprinted with permission. If the only thing you’re doing with CES is to isolate the potential impact of service transaction on downstream customer behavior, then level of effort is an appropriate metric. That said, customer experience is considerably more than service. It is holistic, and should actively include emotional connection and the impact of employee interaction. So, to truly understand customer behavior, both the entire customer relationship and perceived value, including brand image/reputation must be considered. To assess the behavioral effect of the entire experience, I’d recommend advocacy as a key, and core, metric. I agree with much of what Michael said. Loyalty is a human construct, and its definition varies, depending on who you are talking to. For me, loyalty means ‘how much inconvenience am I willing to overlook, or how many problems am I willing to endure before I change my preferences or habit?’ I often use the word elasticity to describe it. Customers who are loyal accept less-than-optimum situations or issues. They tolerate variances in service delivery or product performance. How much? I can’t answer that. It depends on the customer, the product, and the situation at the time. I believe using customer Effort as the sole or predominant measure of loyalty oversimplifies what goes into loyalty. It’s more complicated than that. Many products require high effort to buy or support, yet they remain popular with customers because they offer high value, better features, or other purchase motivators. 1) loyal customers spend more and buy more. Loyal customers can be plenty loyal without being heavy users or spenders. An occasional traveler can have a strong preference for using a specific car rental agency. That does not mean he or she rents more cars, or springs for a fancier model or upgrades. Agreed: loyal customers can spend more and buy more. But not every ‘loyal’ customer does. And many loyal customers will regale others with their happy experiences using a product. But others are content keeping their experiences to themselves. I agree with Michael. The challenge of a CES metric is the fact that it oversimplifies the customer experience. I like to examine customer relationships through the lens of other important long-tern relationships in our life. So, the CES argument would suggest making your marriage effortless and simply meeting basic core needs is the secret to a long relationship. Remembering a birthday with a special gift, demonstrating personalized attention–all the things associated with delighting your spouse have little value in ensuring loyalty. Does that work? That has not been my experience in 50+ years of marriage. Dixon, et al viewed delight as value-added (taking what customers expect and adding more–much upgrading a frequent flyer to first class or like the new tie your grandmother gave you every Christmas). When delight is defined as value-unique (delivering an experience that truly surprises the customer–like the free prize in a Cracker Jack box or a special, unexpected gesture for your spouse), it not only ramps up loyalty, it creates a story a customer is eager to tell their friends–the behavior of a real advocate.. The concept of “effort” examines bureaucracy and red tape. What about the factors that are totally effortless physically but leave the customer in a state of anxiety, worry, or angst? Wait, for example, is complex when viewed through the eyes of customers. When you take your child to the emergency room with a nasty cut, wait has a different meaning if that child is also in shock or turning blue. The simplicity of a CES metric makes customer experience improvement seem more easily prescriptive, But, it fails to capture the complexity of experience. Let’s measure effort. But, let’s not be seduced into thinking customer experience is “all about effort” while meeting the core need of the customer. It’s event driven rather than relationship which allows for quick intervention. Perhaps it should be measured along with CSATs and NPS.